Step Away from the Phone. 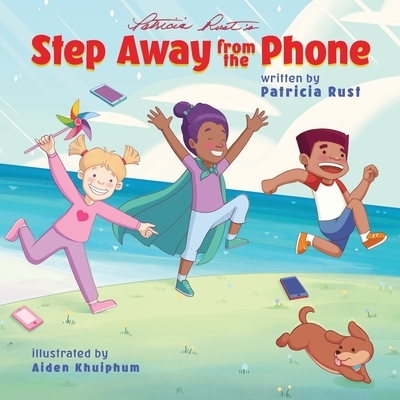 The idea for this important, timely, yet bound to become a classic book came when Patricia saw the children in a doctor’s waiting room using their parents’ phone to talk or text. Using colorful visuals and beautiful wordplay, Step Away from the Phone becomes a magical journey for children and adults alike - as they chase rainbows, swim with turtles, and create together. You can have fun reading Step Away from the Phone with your children as the author celebrates the power of unlimited imagination with the charming and whimsical illustrations, which invites children to seek out friendship with other children. Not only will you enjoy reading to your children, but they can also later read to you, and share these value-based thoughts and inspiring fun! There is an added bonus of vocabulary words on each page! Step Away from the Phone and let’s learn and have fun!